I/ We understand that CLAIMYEXCESS cover is a discretionary product based on parametric risk solution and not an Insurance product. The payment of benefits under CLAIMYEXCESS is at the absolute discretion of APPSOFT LTD.
We may refer any suspected fraudulent benefit or illegal activity to the relevant law enforcement authorities and will, to the extent permissible by law, seek to recover any monies paid, expenses or damages incurred in obtaining such evidence as may be required to protect our rights. We are able to cancel YOUR Cover and no benefit or refund of Your contribution will be payable if YOU make a fraudulent claim. There’s no small print or nasty surprises. We encourage our customers to make sure they understand all aspects of the protection chosen, so here are a few important things YOU need to know before YOU TAKE OUT THIS COVER. It is not an Insurance product. CLAIMYEXCESS and what makes up this Cover? CLAIMYEXCESS cover works alongside YOUR lead/main Insurance related to YOUR Business/ Home/ Vehicle or for the Finance/Agreed value option taken for your vehicle. When a claim happens and YOUR related lead/main insurance company settles the claim after deducting an Excess ( which normally can go up to $1000 excess or up to selected amount up to $3000 for Agreed Value/Financial Interest Shortfall ), then CLAIMYEXCESS cover (reimburses you the amount) at its absolute discretion up to the amount YOU selected for the risk as stated in the Confirmation of Cover (CoC) issued by us. 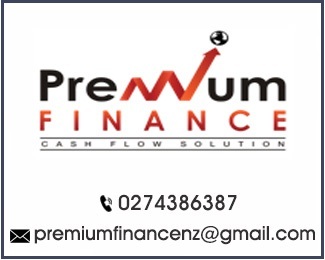 In consideration of your payment of the contribution to CLAIMYEXCESS, CLAIMYEXCESS reimburses only the Excess/Amount selected by YOU for- (Business /Home/Vehicle-Private, commercial, Taxi, Courier, Truck, Agreed Value , Financier Interest Shortfall (FIST)/Professional Indemnity, etc.) subject to Terms and Conditions. Any motor vehicle claim related with ‘Loss of Use’/car rental. Any claim for damage to YOUR Motor vehicle caused by a third party, where that third party is related to YOU, an employee of YOURS or a friend. Any claim notified to Us more than 31 days following the settlement of YOUR claim under the related policy of YOUR lead/main Insurance Company, with no justified reason for the delay. Any contribution or deduction from the settlement of YOUR claim against the related lead/main Insurance policy which does not relate to the excess. cover expires once the reimbursement(s) made under the benefits reaches the selected Excess amount shown in the Confirmation of Cover (CoC), or the expiry date and time of the cover as stated in Confirmation of Cover (CoC) expires, whichever is earlier. All payments/ disbursements in connection with this Cover will be made in local currency. There are risks involved with taking out cover/protection that YOU should be aware of. our cover is not a saving or investment product, which means that if YOU cancel YOUR Cover after the 15 day Cooling Off Period, YOU will not receive any refund. YOU may seek assistance from a financial adviser to assist YOU to determine if the Cover meets YOUR need both now and in the future. If YOU are not satisfied with Our initial response, please write to Our Complaints Officer at claim@claimyexcess.co.nz. This service is free of charge. To use Disputes Tribunal of New Zealand, you must have firstly attempted to use Our Internal Dispute Resolution Service.. Personal information is collected from YOU or about YOUR business to enable Us to provide Our Covers or services to YOU. Further information may be requested from YOU at a later time, such as if YOU want to make alterations to YOUR Cover or at claim time when We may need to collect financial and claim/investigation report about YOU/YOUR business from external third Party to process the claim. If YOU do not supply the required information to Us we may not be able to provide Our products and or effective services to YOU nor promptly reimburse YOUR claim on Excess/Agreed Value/Financial Interest Shortfall, if due. how We deal with any complaints that our customers may have regarding privacy issues. We rely on the accuracy of the information YOU provide. If YOU think that We hold information about YOU that is incorrect, please let Us know using the communication methods above. The website of the Privacy Commissioner which is available at https://www.privacy.org.nz is a Useful source of additional information about both the privacy rights of individuals and the privacy laws imposed on organisations such as Ours. This website also contains sensible steps that individuals can take to protect their information when dealing with organisations and when using modern technology. We take no responsibility for the contents of this Government run website. Under the current privacy legislation, YOU are generally entitled to access the personal information we hold about YOU. To access that information, simply make a request in writing at helpdesk@claimyexcess.co.nz. This process enables Us to confirm YOUR identity for security reasons and to protect YOUR personal information from being sought by a person other than YOURself. If, for any reason we decline YOUR request to access and/or update YOUR information, We will provide YOU with details of the reasons. 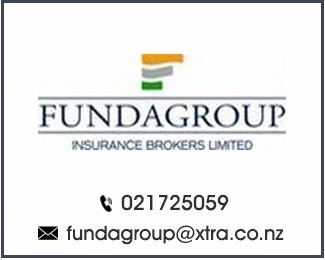 In some circumstances it may be appropriate to provide Us with the copies of YOUR related lead/main Insurance Policy (s) with details regarding which YOU have covered for Excess and other similar discretionary Covers with Us so that the protection/indemnification can be explained. If giving access would be unlawful. 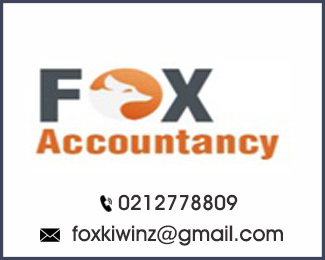 In processing and administering YOUR Cover (including at the time of claim) We may disclose YOUR personal information to other parties such as organisations to whom We outsource Our mailing and information technology, Government regulatory bodies and other related entities involved within the group and accountants (if applicable). We may also disclose YOUR personal information (including risk information) to other bodies such as the insurers/reinsurers (if any), claim professionals, investigators, lawyers and external complaints resolution bodies. on behalf of, enforcement body e.g. the police. In respect of a Benefit for a specific Cover, means that Benefit is in force (i.e. beyond the waiting period of 15 days as in CoC issued by us) and payment has been received in full, without any arrears. If the registered Valuer valuation is lower compared with the Vehicle's Sum insured in Your lead/main Insurance Company policy at the time the claim when settled on constructive total loss basis/ written off basis and/or the stolen vehicle not recoverable within 60 days from the date of event, It is the difference in amount (Sum Insured-valuation) and the amount in Confirmation of Cover (CoC), whichever is lower. Means the Excess amount agreed by Us at the time a legit claim gets approved by YOUR insurer on the property/risk shown in Our Confirmation of Cover (CoC), subject to the terms and conditions as outlined in this document. Confirmation of Cover means the legal contract between You and Us. This document certifies that this Cover has been effected between You and Us. In return for payment of the contribution, we agree to Cover You in accordance to the risk selected for the selected amount within the terms and conditions contained in and amendments, if any. Means the date on which YOUR Cover officially starts (i.e. 15 days after the waiting period) is the date from which YOU are able to claim the benefits protected by the issued cover in accordance with the Confirmation of Cover (CoC) against the loss. Where We have agreed to add additional Cover after the commencement Date the Endorsement Date of any such additional Cover will be deemed to be the Issue Date and/or the date shown in the amended Confirmation of Cover (CoC) We send to YOU confirming the addition made on receiving the payment in full, whichever is later. Refers to the circumstances in which a Benefit Amount is payable in accordance with this document. The summary of the Cover provided is shown in Confirmation of Cover (CoC) and explained in detail in this document. Means the terms and conditions as set out in this document, the application, the personal statements, the relevant Policy wording of YOUR lead/main Insurance company , the Confirmation of Cover (CoC) and any special conditions or endorsements make up the Cover. Means the date on which your Cover officially starts, the date from which you are able to claim the benefits against the loss protected by the issued cover in accordance with the Confirmation of Cover (CoC). Where We have agreed to add additional Cover after the commencement Date, the Endorsement Date of any such additional Cover will be deemed to be the Issue Date and/or the date shown in the amended Confirmation of Cover We send to You confirming the addition made on receiving the payment in full, whichever is later. Once claims paid exhausts the selected amount or from the expiry date as in Confirmation of Cover (CoC) between You and Us; and time (4PM- NZ time), whichever is earlier. Covers at the absolute discretion of APPSOFT LTD minimum of the selected excess cover amount as in Confirmation of Cover (CoC) and the amount of money that the main/lead insurer will deduct from Your claim settlement, subject to the proof like discharge letter etc. The accidental damage to the property caused directly by violent, external and visible means including aggravated burglary (excluding the Exclusions as detailed in page 2 of this document). Once claim is paid to its aggregated limit or from the expiry date in Confirmation of Cover (CoC)issued by Us, whichever is earlier. Where the Finance contract is solely taken for the purpose of purchase or lease of the Motor Vehicle and the agreed event happens resulting from the accident, at the absolute discretion of APPSOFT LTD , CLAIMYEXCESS protection covers the shortfall between the Total Loss payments (prior to the deduction for excess or additional premiums) As per lead/main Insurance Company claim record and the pure Balance outstanding with Financier (excluding costs resulting from arrears, penalty interest, late payments and other avoidable costs) limited to the maximum amount specified on the Confirmation of Cover (CoC) issued by us. Your owner occupied/rental dwelling/property covered by your lead/main Insurance provider and as mentioned in Our Confirmation of Cover (CoC). A van not exceeding a weight carrying capacity of 3.5 tonnes. means the Product Disclosure Statement read in conjunction with the relevant Terms and Conditions of CLAIMYEXCESS cover and the Confirmation of Cover (CoC). means the person/s or entity shown in the Policy Schedule of YOUR lead/main Insurance company/Insurer matching with the person/s or entity on whose name the Confirmation of Cover (CoC) has been issued. Also described as ‘YOU’ or ‘YOUR’ or M/s. means the excess cover limited to the amount mentioned in Confirmation of Cover (CoC) for professionals /advisors if the date of claim occurrence as per your lead/main Insurance Company Policy claim record is within the commencement date and the expiry date as mentioned in Confirmation of Cover (CoC). Act of God such as Flood, storm, Tycoon, Tsunami, hail storm, Earthquake, etc. – as explained and interpreted by YOUR lead/ main Insurance policy.